As Iran’s Foreign Minister, Manouchehr Mottaki will lead negotiations over his country’s nuclear programme. Those discussions with the UN Security Council and Germany, the so-called six-party talks, come amid more conciliatory language emanating from Washington. euronews asked Mottaki for the Iranian point of view. euronews: Manoucher Mottaki, Minister of Foreign Affairs of the Republic of Iran. Iran is ready to resume the six party talks, what is Iran ready to offer? Mottaki: Thank you very much in the name of God, the compassionate and the merciful. Iran is going to update its previous package, which we offered last year. Since last year, the world (is) faced with several developments: the monetary and economic crisis in the world as well as changes in some administrations and… euronews: You can mention the American one… Mottaki: …And that’s why it was necessary to have a review to our previous package and prepare the new one. euronews: The most important issue that is on the table is the nuclear one. Are you going to offer something new? Mottaki: We do believe that the right of Iran is not a matter of a deal, the right of the nations to have nuclear energy is a right for all the parties in the world, for all the member states of the UN. Our slogan in this regard is very clear: nuclear energy for everybody and nuclear weapons for nobody. euronews: As currently there are countries that have nuclear weapons, do you think that to have nuclear weapons is the right of other countries that don’t have them? Mottaki: One of these countries which you are talking about is a country which has the largest scale of such weapons. Fortunately we could receive a new position, which is quite new since 1945, after the Second World War finished. We should help this country to continue its stand on this very, very acceptable position. euronews: Do you think that the speeches made by President Ahmadinejad are useful in a world where also Iran is trying to negotiate and to be more open, especially, as you have said with a new American administration, that seems to be more open than the previous ones vis-à-vis your country? Mottaki: You are trying diplomatically to make some links between these two questions, it is not necessary. Even nowadays in the USA some different groups are taking this position: “why should we link all our interests, I mean American interests, to the interests of Israel.” euronews: Isn’t this kind of rhetoric useful for rushing with force into the new negotiations that are being undertaken by the US administration, the Obama administration in the Middle-East? Mottaki: We should find the root cause of the crisis in the region and that is the legitimacy of this regime in the region, how it is established; the land (Palestine) was not without people, because the Palestinians, Muslims, Christians and Jews were living there and these people in Europe were not the people without land, they were the citizens of European countries, of different European countries, they were living here. euronews: Your talk is simply a racist talk about another country, another population who is living in that region, Israel. What do you think about it? Mottaki: This is the wrong literature from the Durban II meeting (he laughs) Ok go ahead… I know… euronews: No, No, it was a question, what do you answer to that; don’t you think that your talk is racist as well? Mottaki: Definitely not euronews: Why? Mottaki: (he laughs and he doesn’t answer) euronews: Why? Mottaki: We are talking about a problem, about a crisis, which is a reality in the region and nobody could solve this problem. We are explaining why they could not solve this problem. We are not a part of the problem. We in our region always have been a part of the solution, according to Iraq, according to Lebanon, according to Afghanistan. euronews: So you can offer your cooperation for solving the problems in Iraq in Afghanistan… Mottaki: We have some responsibility in that region, since last six, seven years we have been an important part of supporting for political development in Iraq, institutionalisation of different parts of the body of the government in Iraq, parliament and everything. We support this process. euronews: What do you think about the policy of stick and carrot of the USA? Because on one hand they are ready to negotiate with Iran, on the other hand Secretary of State Hillary Clinton said that they are preparing, just in case, very tough sanctions against Iran, on the nuclear issue again Mottaki: Policies which have experienced without any result in the past. That should bring into the mind of different parties to think and to establish new policies. euronews: Wouldn’t it be a problem for Iran, an embargo on the petrol coming from the West? Mottaki: If they are ready to decide, than they will see our reaction, don’t worry about that. 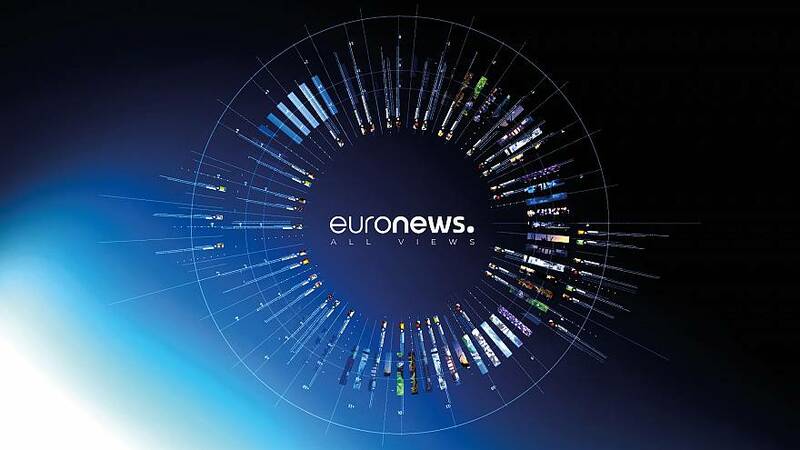 euronews: What kind of reaction? Mottaki: We will consider if they go to decide in such decision.